I have just submitted an article to Perspectives, the PSYOP Association Professional Journal. Since Cyber PSYOP is a topic near and dear to my heart, I’m kind of pressed for time this week in DC, and because I would like to encourage readers of my Blog to read Perspectives, I’m providing a summary of the article as this week’s Posting. History has shown that the US DOD has a strong tendency to favor kinetic operations even in the face of a nimble and capable opponent. The discipline of PSYOP has been ignored for years to its detriment. As we enter an era of uncertainty with respect to potential enemies and adversaries exacerbated by shrinking budgets, while it is readily acknowledged at the highest levels of our government that Cyber Security is important, there is almost no attention given to Cyber PSYOP. Cyber PSYOP, simply stated, is the application of PSYOP principles to electronic media, systems and networks. Unlike many other forms of PSYOP, CP operates at all levels: strategic, operational and tactical. The virtual nature of CP blurs the lines of deployment so that even the most tactical of attacks, say on a targeted individual, can spider web out through cyber space and rise to the strategic level. Target analysis is critical in CP because CP can be employed with laser like focus against individual targets through their devices (e.g. smart phones), their social connections (e.g. Facebook, Linkedin, MySpace, etc.) or more broadly aimed at larger groups such as government bureaucrats who are on the same network or within the same department, agency or bureau. Intelligence Preparation of the Battlefield (IPB) for Cyber PSYOP involves target profiling and technology profiling. CP is an important part of our influence operations arsenal. Its importance is directly proportional to the technology reliance of the target. The more reliant the target is on technology, the more susceptible they will be to CP. I believe that within the next few years CP will emerge as a mainstream discipline ahead of the employment of CNO as a warfighting systems. CP will prove itself in urban conflicts to come. However, the nature of CP also appeals to our enemies. They have shown themselves to be creative and adaptive and at times far more nimble then we are. Consequently part of our CP resources must be devoted to developing and executing counter CP operations to minimize the impact of enemy CP and insuring that we dominate the information battlefield. Libya: Who is in charge of the attack? An important PSYOP/MISO Issue. My time in Bosnia during 1997 – 1998 taught me quite a bit about the practical aspects of running an alliance. In some respects an alliance is like a family and not everyone gets an equal vote all the time. The Stabilization Force (SFOR) had the advantage of being a NATO entity. While this wasn’t a perfect construct, at least there were some basic rules over who did what, how the force was organized, funding mechanisms and doctrine. According to President Obama: “First of all, I think it’s very easy to square our military actions and our stated policies. Our military action is in support of an international mandate from the Security Council that specifically focuses on the humanitarian threat posed by Colonel Qaddafi to his people. Not only was he carrying out murders of civilians but he threatened more. He said very specifically, we will show no mercy to people who lived in Benghazi. And in the face of that, the international community rallied and said we have to stop any potential atrocities inside of Libya, and provided a broad mandate to accomplish that specific task. As part of that international coalition, I authorized the United States military to work with our international partners to fulfill that mandate.” (source: http://www.whitehouse.gov/blog/2011/03/21/president-obama-answers-questions-libya-testament-men-and-women-uniform; accessed 22 March 2011). Let’s take a look at a couple of key phrases here: “an international mandate from the Security Council”, “international coalition”; and “work with our international partners”. Does this mean that the Secretary General of the UN is the “Commander” of the Libyan mission? Do all of our international partners get to task our aircraft and prioritize targets? The NY Times reported that the US is moving swiftly to hand command over to our allies (see http://www.nytimes.com/2011/03/22/world/africa/22libya.html?_r=1; accessed 22 March 2011). Does this mean a French or British flag officer will have opcon (operational control) over US forces in the Med? Does this ersatz coalition have a formal HQ with a combined, joint Military Information Support task force? Are the influence operational objectives clear? Has the coalition taken the necessary time and effort to craft a coordinated information operations effort to include Computer Network Operations, Public Affairs and EW to maximize the effectiveness of the fighting force and minimize the danger to friendly forces? Frankly I believe many of these questions remained unanswered as our planes streak over Libyan skies. At first blush it would appear that the President has moved swiftly to answer the political mail, and is now trying to minimize his and our collective exposure. As with any operation, plans don’t often survive first contact and there is already fog in the media. The President implied that the US took the lead because “Our ability to take out, for example, Qaddafi’s air defense systems are much more significant than some of our other partners.” (same source as above) and that fine military authority, “Wired” reported on secret PSYOPs and Commando Solo (see http://www.wired.com/dangerroom/2011/03/secret-libya-psyops/). If there’s a formidable air defense system, you wouldn’t be seeing Commando Solo flying around. And, by the way, where is the funding for this operation coming from as the defense budget continues to get pruned. Overall it would appear that we are potentially on the precipice of yet another military mission in a Muslim nation with the potential of fanning the flames of other conflicts and perhaps offering an excuse to jump start fundamentalist efforts in other parts of the globe. I applaud President Obama for his nimbleness, but let’s hope we don’t get burned jumping over the latest candlestick. Today's posting is something a bit different. Following is a concept paper I drafted for a colleague. Essentially I took the IO capabilities of DoD and then provided analysis on Terrorist employment of those same capabilities. Comments and input are welcome of course. The US Department of Defense employs Information Operations to influence the course of battle and act as a combat multiplier. Terrorists are also very successfully employing IO and technology to their advantage. This short paper will give you an overview to assist you in future research. 2. Military Deception (MILDEC) – actions taken to shield true capability from the enemy (e.g Patton’s fake Army in the UK as a decoy for the Normandy invasion. 4. Electronic Warfare (EW) – dominance of the electronic spectrum, actions can include jamming to deny the enemy is communication, actions taken to identify enemy electronic emitters to facilitate identification of their units, other order of battle information, targeting for interception or jamming. a. Computer Network Attack (CNA) – denying the enemy the use of their IT networks. b. Computer Network Exploitation (CNE) – using the enemy’s network for friendly advantage, e.g. intelligence collection, communications medium, storage of hostile software code, etc. 1. Public Affairs = Public Relations; a conduit to the media and creator of print, and broadcast media. 2. Civil Military Operations – military forces employing civilian skills to improve the life and infrastructure of a local population. 1. Propaganda – Terrorists are making exceptionally good use of the Internet as a means to inform, influence and recruit. They are also being supported by ‘friendly’ media such as Al Jazeera which tends to spin the news in a way that is favorably received by the Arab Street. Terrorist propaganda is especially effective due to the speed with which they capitalize on events that serve their purpose. This rapid response is indicative of a streamlined or de-centralized chain of command and abbreviated approval cycle. Allied information support operations tend to be much more cumbersome due to the heavy ROE and complex approval schema which can often include both military and civilian command cycles. 2. Military Deception (MILDEC) – In my view terrorist operations tend to be decentralized although they employ deception to shield their true intentions and make very effective use of ‘cover’ identities. 3. Operations Security (OPSEC) – Terrorist cells are generally quite secure due to their decentralized nature. Most terrorist organizations appear to have a very healthy respect for Signals Intelligence and will avoid electronic means of communications such as mobile phones to avoid detection. Trade craft to include steganography (the concealment of messages in pictures) is also employed along with other measures such as compartmentalized chat rooms, common password schemas, etc. 4. Electronic Warfare (EW) – Improvised Explosive Devices (IED) are often remotely detonated via mobile phones, garage door openers, etc. I am unaware of any large scale terrorist jamming efforts to date. a. Computer Network Attack (CNA) – Experts believe that terrorists will employ cyber attacks in conjunction with a kinetic or physical attack. CNA may be employed prior to or subsequent to the kinetic attack depending on the type of operation. b. Computer Network Exploitation (CNE) – Terrorists, and nation states for that matter are routinely probing networks of interest. Terrorists are likely to employ a combination of human agents to infiltrate target organizations to be in a better position to exploit networks directly or to insert malicious code (such as the Stuxnet reported planted to damage the Iranian Nuclear Research program) for later execution. Exploitation can also include gathering intelligence from the network. 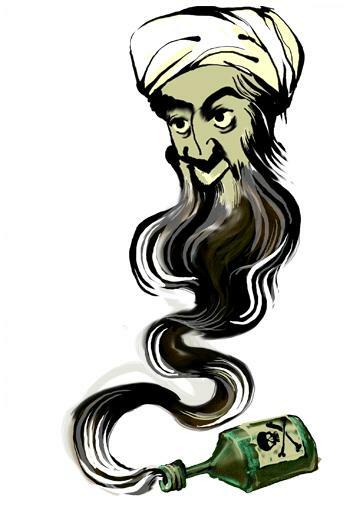 Terrorist cells must be self-financing. Harvesting data (personally identifiable information or PII) that allows them to steal identities which in turn allows monetization through theft of funds, goods or services is very effective. Terrorist cells can also exploit networks by gathering information that may be of use to the movement in some way such as to identify potential funding sources or gather target information. Terrorists are employing the Internet as a cost effective and for the most part, relatively secure communications channel. Their global operations lend themselves to Internet communications for availability, cost and security reasons. c. Computer Network Defense (CND) – Unable to comment. 2. Combat Camera – Terrorist organizations make effective use of still and video cameras. They also exploit images captured by other sources such as the media. 3. Physical Attack – Mumbai type attacks are very likely to increase. They require a small footprint, are relatively low in cost and very difficult to defend against. They are very effective at exploiting soft targets which in turns results in dramatic chaos which is then exploited through the media and by the Terrorists’ own sources. 1. Public Affairs = Public Relations; Terrorists are exceptional PR professionals. They understand the value of publicity, especially the emotional appeal of images. They are able to appeal to ‘friendly’ media to a very great extent. 2. Civil Military Operations – Hezbollah and the Taliban have been quite successful at using social welfare as a means to ingratiate themselves with local populations. 3. Defense Support to Public Diplomacy – Governments tend to hide their association with terrorist organizations. Positioned For Troop Reduction? Who is PSYOPing whom? 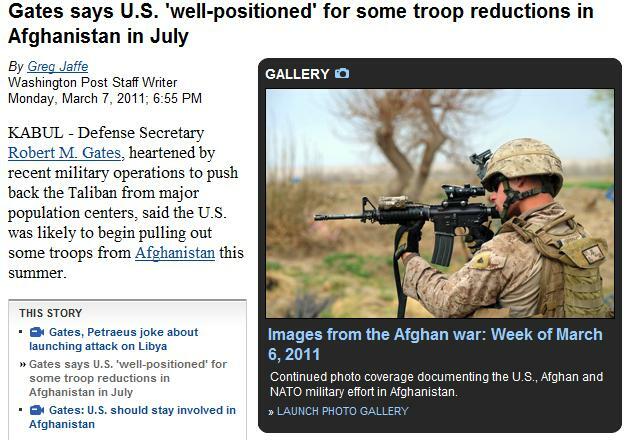 The Washington Post of March 7, 2011 quoted Secretary of Defense Gates as indicated that the US was “well-positioned” for some troop reductions in Afghanistan in July. If you are a PSYOP (pardon me MISO) soldier, don’t get your hopes up. Don’t get me wrong, I’m a big supporter of Secretary Gates as seen in some previous posts, but my Brooklyn BS detector went off when I read that. While I have not been to Afghanistan, it strikes me that our information support operations forces be they military or civilian are stretched pretty thin. Furthermore, the tribal/rural nature of Afghanistan does not lend itself to mass marketing of any type. At least Mr. Gates was straight forward by noting that reductions would be small and that a significant US force would remain behind. In theory, the notion of a military draw down should be a signal to NATO and to the US that the diplomatic information efforts need to ramp up. Civilian infrastructure and medical missions also need to be tightened up with realistic fiscal management and timetables coupled with accountability. I’m still of the opinion that local economies are the fundamental building blocks in that AO. Villages and their traditional leaders will be there long after America departs. Hopefully we and our NATO allies have the political will to insure a bottom up level of confidence and security otherwise, the terrorist elements within the country and those scurrying back and forth to Pakistan will once again ascend to power. Gates’ last speech to the Corps of Cadets should be taken quite seriously. The Secretary has shown himself to be a confident and fair steward of the Department of Defense who has managed to serve well under two very different Presidents. 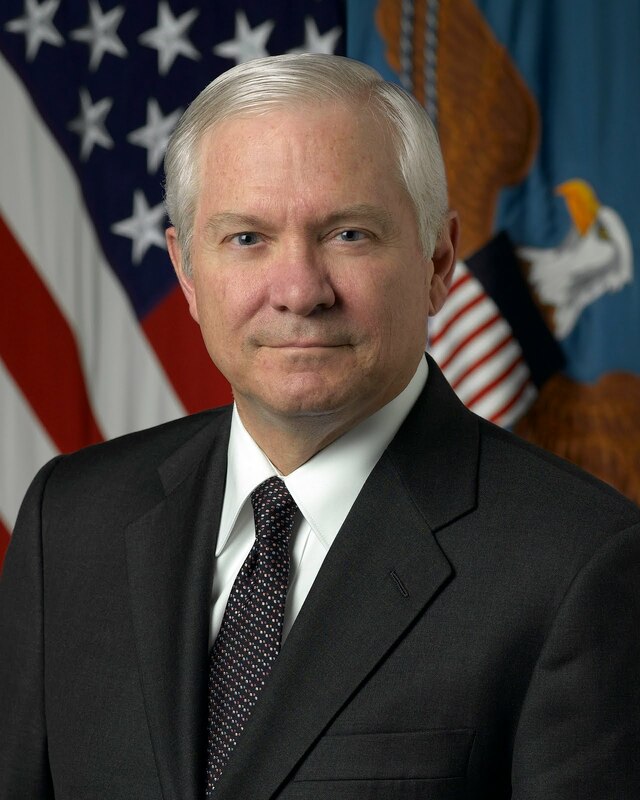 Gates made it clear that the Army, the proponent for Military Information Support Operations (MISO) formerly PSYOP will be especially challenged in the time ahead. The Army was singled out as the service most shaped by war and the service that has made great strides in adjusting and adapting to survive. While the Secretary reaffirmed the need for “swift-moving expeditionary forces” he was quick to point out that no President should put Armies into Asia, Middle East or Africa. He further went on to say that future US engagement should be via sea or air. He noted that our adversaries are quick to learn and dedicated to negating our advantages on the battlefield while employing our freedom of expression and the borderless cyber world as their communications channels. The Secretary also criticized the Army for its stodgy institutionalism that stifles creativity and embraces career planning better suited for the Cold War. Frankly none of this is good news for PSYOP. The bi-furcated MISO chain of command, split between AC and RC has clearly shown that it is incapable of acting in a unified way to optimize the force. Diversion of funding to the Air Force and Navy will likely accelerate reducing Army resources even more. Regrettably there is not very much that any of us can do about that. However, this means that SWC must work more closely with the other services to insure that MISO can operate employing a wide variety of platforms that will synergistically deliver the CDR’s messages. This also means that doctrine needs to be crafted that recognizes the stand off nature of air and sea platforms and that capitalizes on satellite reachback to deliver broadband capabilities and foster communications among information operations forces. I would encourage the services to engage in ‘exchange programs’ wherein the services station personnel, especially mid-grade NCOs and Officers (E6/O4) in each others’ billets to further shape multi-platform operations. We also need to insure that senior NCOs and Officers outside the PSYOP/MISO community are encouraged to rate MISO personnel based on their accomplishments and merits, not whether they play they game according to Cold War rules.